As Fast Company reported in January, 2013--, “Disengaged workers cost the US economy $350 billion a year in lost productivity.”—that is why engagement matters! But, in addition to the huge financial costs associated with disengaged workers, small and medium size business employers know that a worker’s commitment to the company is an indicator of how long the person plans to stay with that employer! As the economy improves, your employees may have more options available to them and the last thing you want is to have your most valued employees thinking about leaving you—you want them engaged in their work and your organization! Engagement and employee retention are linked! In The Big Book of HR, we share some ideas of how to engage your employees. · “Let employees know where the organization is headed and where they fit into the future plans.” People want to know where they fit into your future plans and how they can make a contribution. Most employees really do want to add value to their organization. · “Ensure pay and benefits are competitive and focused on what your workforce needs/wants at this time.” Participate in salary and benefits surveys in your market to be sure you are paying fairly and that your benefits package is as good as it can be. · “Be open and transparent to your employees. Let them know when times are tough and what plans the organization has for moving ahead. Also, when things are good, let them know that as well.” Most employees are genuinely interested in how the organization is doing financially. You will be amazed at how many good ideas you will get from hour staff if you just let them in. · “Focus on career growth and development—even in difficult times. Many development opportunities don’t cost anything (such as mentoring).” This is critical, especially to your Millennials and other younger workers—they thrive on career development so don’t disappoint them or they will most likely leave and find it elsewhere. · “Recognize and reward top performers openly. Re-recruit your good people constantly by telling them how important they are to the organization.” There are probably some of your employees that you know you can’t afford to lose. Do they know how valuable they are to your organization? Think about when and how you recognize good performance. Is it only at annual review time or are your managers giving performance feedback every day? · "Make your employees proud of your organization—be a good corporate citizen.” What does your organization do to give back to your community? Today’s workers, especially Millennials, are very interested in volunteer opportunities and giving back. This is a great way to build your team by involving them in community activities. Is there a charity that is especially significant to your business that you could support and get your staff involved? · “Provide management training to anyone who supervises people—strong line supervisors are the key to maximizing employee engagement.” We are well aware that employees don’t leave organizations, the leave managers. A well trained manager can make a huge difference in employee engagement and retention a good individual contributor; they will necessarily be a good manager! · “Ensure your employees have what they need to be successful.” Do your employees have the skills to do their job? Do they have the materials, space, and/or support to really succeed? If not, here is an area to work on to really improve employee engagement. · “Review your hiring practices to ensure new hires know a lot about the organization—what it does—so that they will come in with a recognized connection to the organization.” Ask your new hires what could have been done differently in the hiring and on-boarding processes and then revise your procedures to maximize effectiveness. Your organization’s culture is a huge driver of employee engagement. Are your managers good listeners? Do you celebrate successes? Do you have fun at work? Do you allow your employees to have a life outside work or do you expect full devotion 24/7? Do you value diversity and what it brings to the organization? Are your managers friendly and approachable to all? 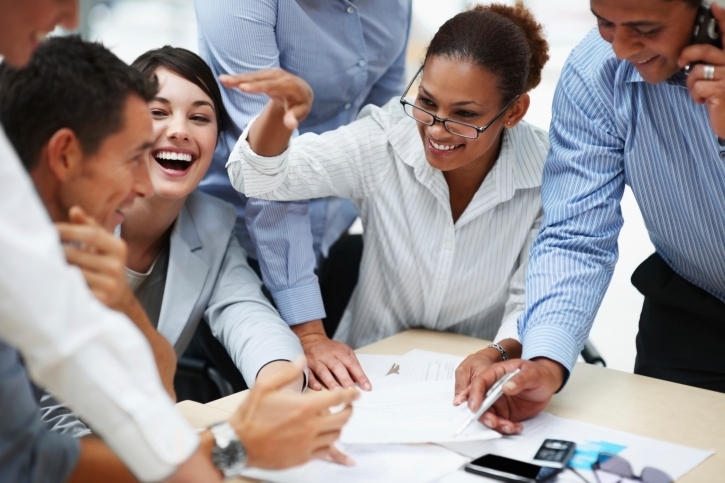 So, what are you doing to engage your employees? Odds are there is more you could do so start today and see what a difference engaged workers can make to your bottom line!